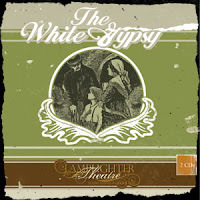 Today we celebrate two years of ATC by reviewing The White Gypsy; another tremendous audio drama from Lamplighter Theatre! Andrew also shares some exciting news from his life and Roy brings us an informative newscast. No interviews this time, but laughter abounds in this episode so hopefully it'll put a smile on your face. The White Gypsy - Please use code LAMP67 if you order. Leave a comment below, email us at feedback@audiotheatrecentral.com, or give us a call or text 623-688-2770. Or follow us on twitter: twitter.com/ATCcast.